Our system meets all manufacturing standards set by the government. 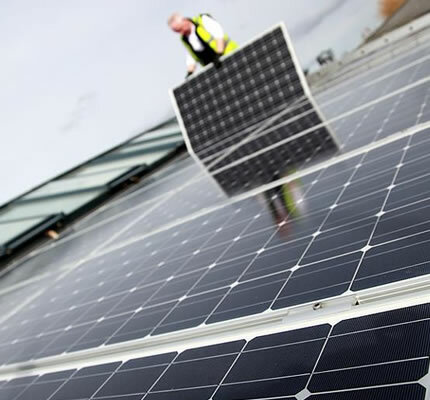 Our solar panels are manufactured by us to the highest specification and are Micro-generation Certification Scheme accredited. Our engineers are likewise fully qualified and have also achieved the MCS installers certification. The entire PV Energy system is supplied with an industry leading 10 year warranty that covers the entire system; solar panels, inverter, roof mounting system, cabling, switches and meter giving you total peace of mind. © 2016 solarpve.co.uk. All Rights Reserved. E&OE.